Sometimes on those hot days you’re not trying to get hyphy and you just want some refreshing non alcoholic drinks in the San Francisco Bay Area. It’s a Saturday afternoon. Maybe you’ve got plans to hit the bars later on, but for now you and your crew are just enjoying the sun. All of a sudden, you find yourself craving something cool and refreshing, but where do you go?! 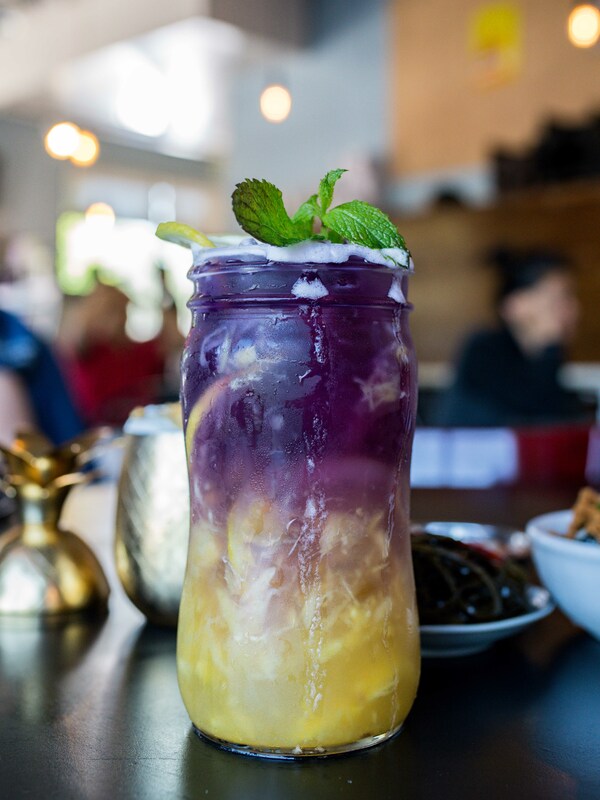 We’ve done our homework and compiled a list of super awesome non alcoholic drinks in the San Francisco Bay Area that you definitely need to try! Drinks always seem to be an afterthought to food. It’s always, “where should we eat?” Never “where should we drink?” (for non alcoholic drinks, at least). Here’s the inside scoop on some awesome drinks to try, whether you’re just thirsty, looking for a drink that can also be a snack, or maybe you’re thinking of eating at a restaurant and want to base your decision on drinks instead (!!!). Let’s get to it! 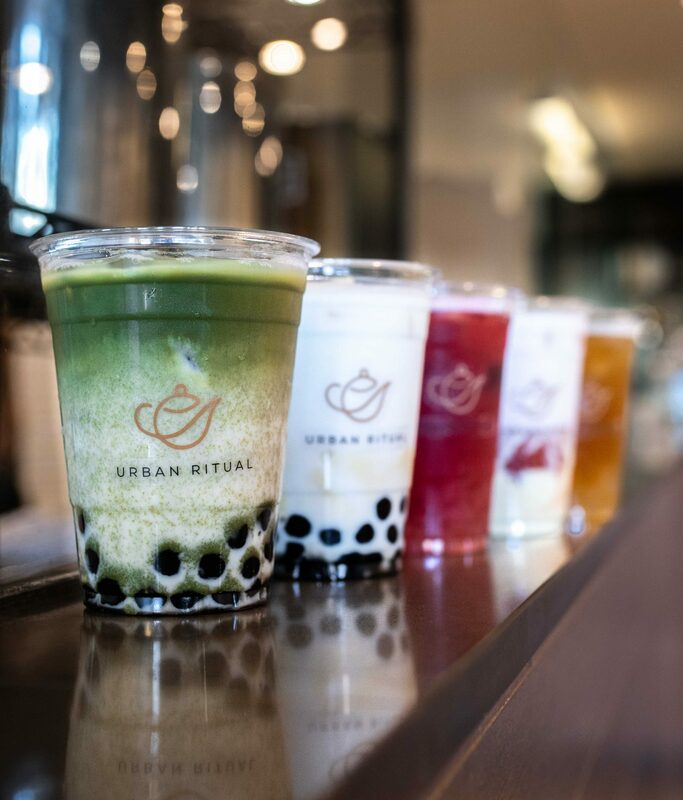 The first bomb non alcoholic drink in San Francisco is Urban Ritual‘s Matcha Toffee. It’s got that matcha goodness mixed with a milkiness that thickens things up a tad, and topped with house-made toffee bits that you can either let dissolve into the drink for a bit more sweetness, or you can munch on them while drinking to add some texture to the smoothness of the drink and the chewiness of the boba. An extremely close second for us was the Strawberry Milk Bar, which definitely deserves a mention (and a try when you go!). It tastes exactly like the name suggests – it’s like drinking a vanilla popsicle with strawberries. SEE ALSO: The Bay Area's First Noods Noods Noods Festival! 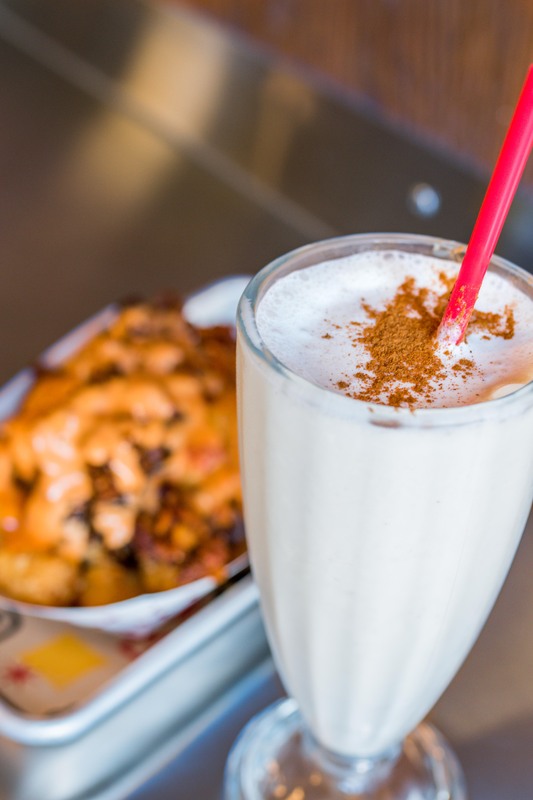 Next up is definitely the Horchata Shake at Wes Burger N’ More in the Mission District of SF. If you’ve never had an horchata you’re missing out on something super nom! Traditionally, it’s a rice milk drink made with spices like ground cocoa, cinnamon, sesame seeds, nutmeg, tiger nuts and vanilla. The shake seriously tastes like an horchata, but much thicker and, well, shake-like. The cinnamon sprinkled on top is a nice (and yummy) addition, too! 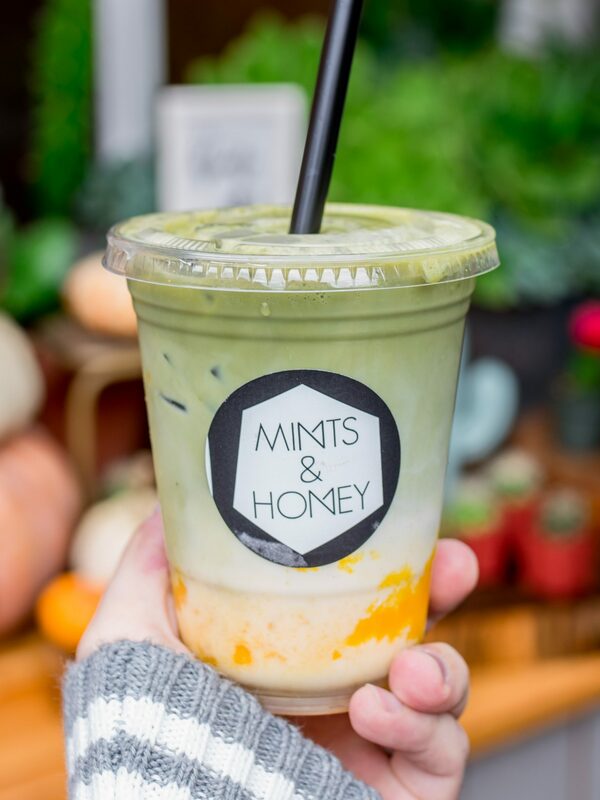 To be honest, I’m not usually a fruity tea person, but Mints & Honey‘s Mango Matcha was off the chain! They got the balance just right between matcha, milk and sweet mango. One of the reasons I tend to drift more towards non-fruit tea drinks is that the fruity ones tend to be way sweeter, but Mints & Honey knows what’s up with getting the proportions right. This one is, for sure, one of the best non alcoholic drinks in the San Francisco Bay Area. When the host at Saffron first suggested the Ginger Mango-jito, I thought for sure it was alcoholic from the name, but it’s not! And it’s delicious! This one is definitely one of the most satisfying drinks on the list. 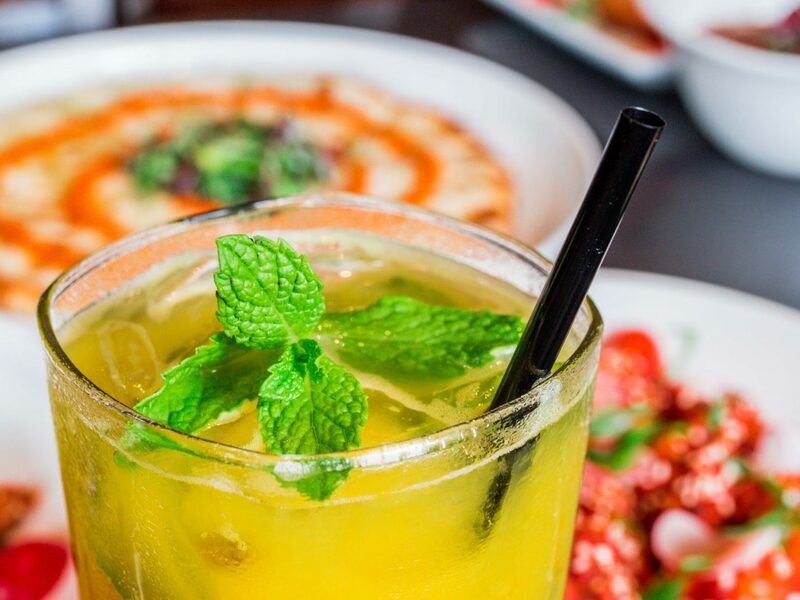 The mint and ginger work together in perfect harmony, and the mango is just straight up refreshing. Why don’t more places make mint/ginger drinks?? That flavor combo is seriously a match made in heaven. Thai Iced Teas are a dime a dozen in the Bay Area it seems, but Toss Noodle Bar‘s version really stuck out to me. The drink is so common that most places just throw it together in a flimsy plastic cup and call it a day. But Toss really focused on their presentation. When they brought it out they had just poured the milk into it so it was cascading through the dark tea down towards the bottom. Plus, they serve it in a mason jar, so you know you’re getting a good amount! 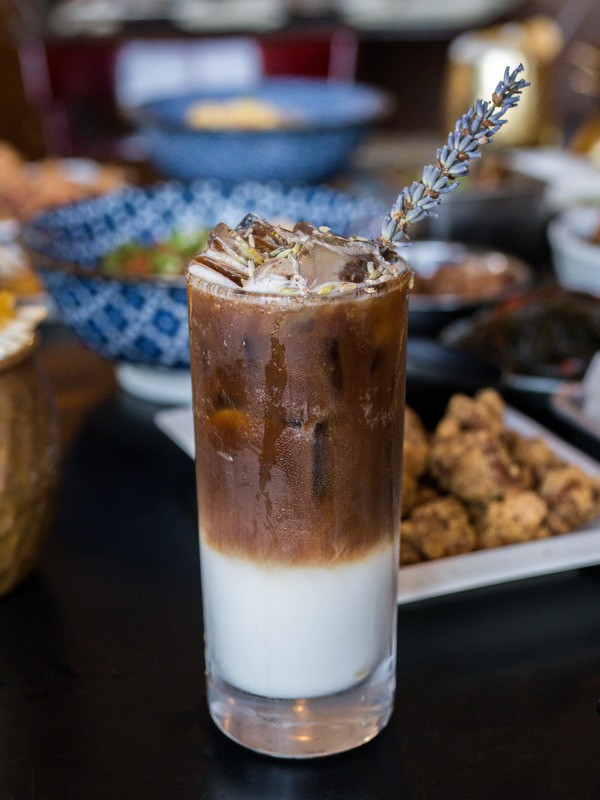 There were two drinks we had at Liang’s Village down in Cupertino that we thought were worth mentioning in any list of awesome non alcoholic drinks in the San Francisco Bay Area. The first of which was the Pineapple Dusk! It’s made with butterfly pea tea, raw honey, real lemons, and fresh pineapple. It’s super refreshing, had a great mixture of tart and sweet flavors, and would totally hit the spot on any warm day. The fresh pineapple also adds a cool texture to the whole experience. The second drink is their Lavender Coffee. Although it’s pretty simple, again, the attention to detail really makes this one shine. The real lavender on top adds a nice pop of color along with the layered milk and coffee underneath. The lavender flavor is pretty strong, but that’s what we liked about it. 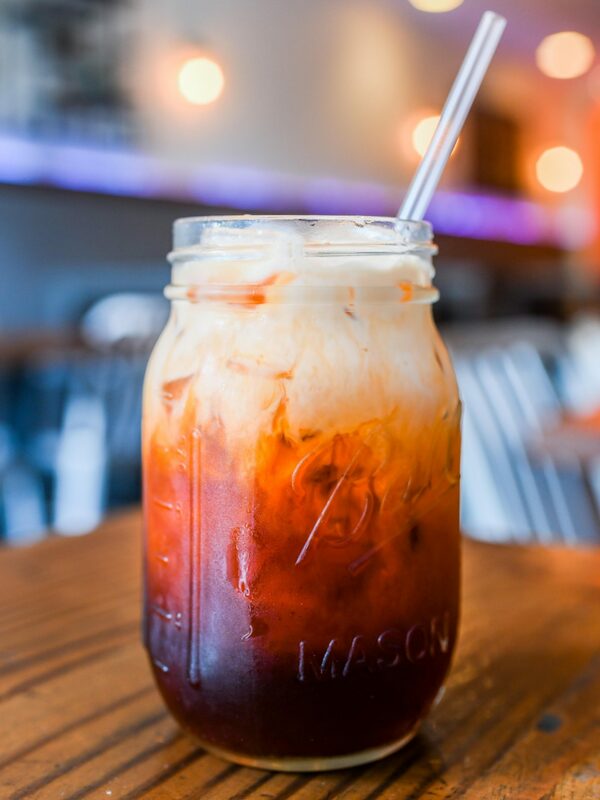 What are some of your favorite non alcoholic drinks in the San Francisco Bay Area? Traveling and wondering what to eat? Check out our location tabs!